Neil Welliver, Light in Brook, 1985, oil on canvas, 24 x 24 in. "Doubt is a central factor all the time. There's always the doubt: What the hell am I doing out here in the woods, all alone, painting?" 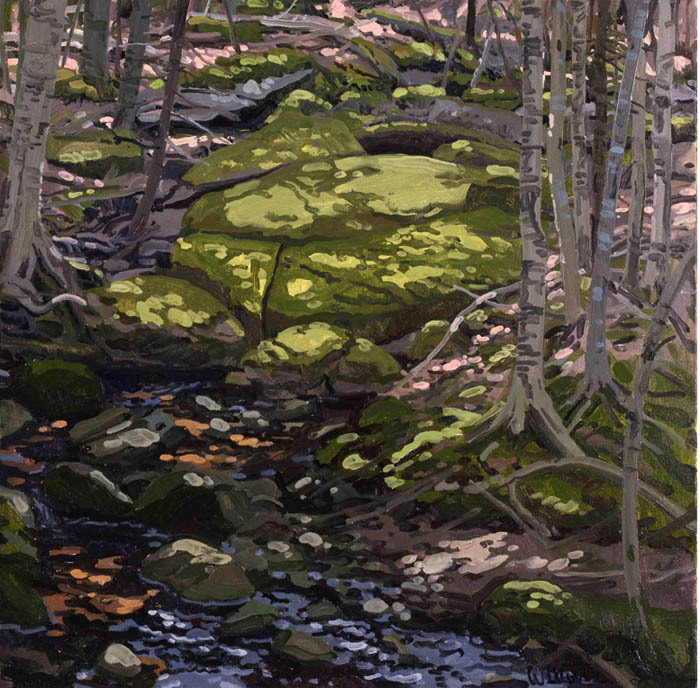 Neil Welliver. One day last week, while looking at the painting on my work table, I had a powerful physical sensation of the floor dropping out from under me, my head going dizzy and my innards flip-flopping as I thought, like Welliver did (though for me it's not a "central factor"), "what the hell am I doing, making tiny paintings of details of farm machines?" I have written about uncertainty before, in this blog post inspired by seeing the film Andrei Rublev by Andrei Tarkovsky; the post includes a wonderful statement by de Kooning on artistic uncertainty, the sense that we never really know if what we are doing has quality. For me, doubt goes beyond uncertainty; it is a deeper questioning of my entire artistic enterprise. It's not simply "is this painting any good? "; it's "is my entire project––my subject, my style––just plain bad, or just plain dumb?" I assume we all have these moments. Philip Guston, Beggar's Joys, 1954-55, oil on canvas, 71 x 68 in. I thought of Philip Guston while I was in my swoon of doubt. He was a well regarded abstract painter, making canvases full of gorgeous masses of brushstrokes gathered in a luminous field. Philip Guston, Multiplied, 1972, oil on canvas, 66 x 80 1/2 in. But then, in 1970, he had a show which shocked everyone: they were cartoons! 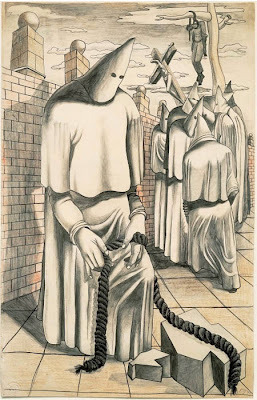 of parts of figures and rooms and peopled with the Ku Klux Klan. This abrupt shift was not well received at all. I wonder how he coped with the extremely negative response to the show. 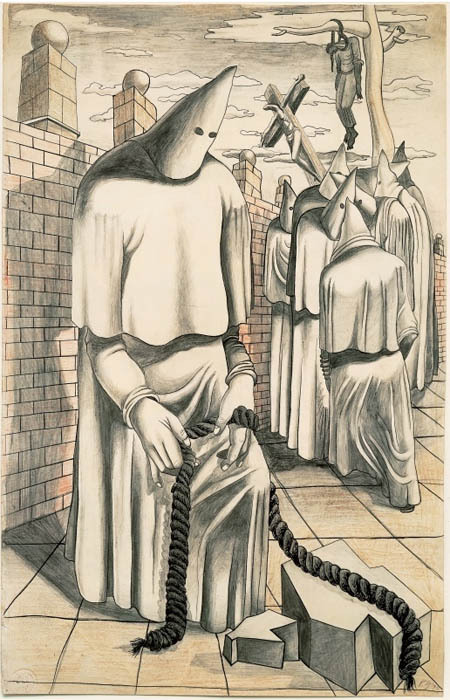 Philip Guston, Drawing for Conspirators, 1930; graphite, ink, colored pencil and crayon on paper, 22 1/2 x 14 1/2 in. 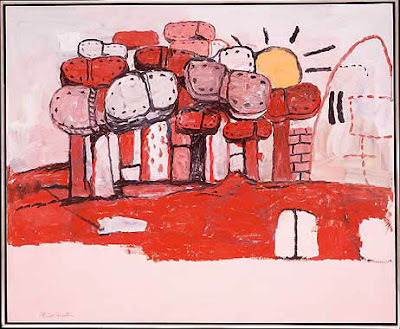 Guston was going back to the content-rich work of his early years, saying "I got sick and tired of all that Purity! I wanted to tell stories." 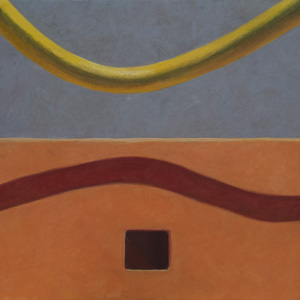 After the Marlborough show, he spent several months at the American Academy in Rome, painting images, his time there described in this review. I haven't found any quotes from him about this period in his painting life, but is it possible he did not feel massive doubt at times? 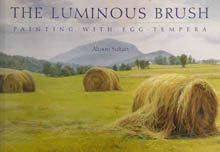 He continued on with strength and purpose, finally achieving great acclaim for what are remarkable paintings. to overall webs of lines inspired by Japanese calligraphy. 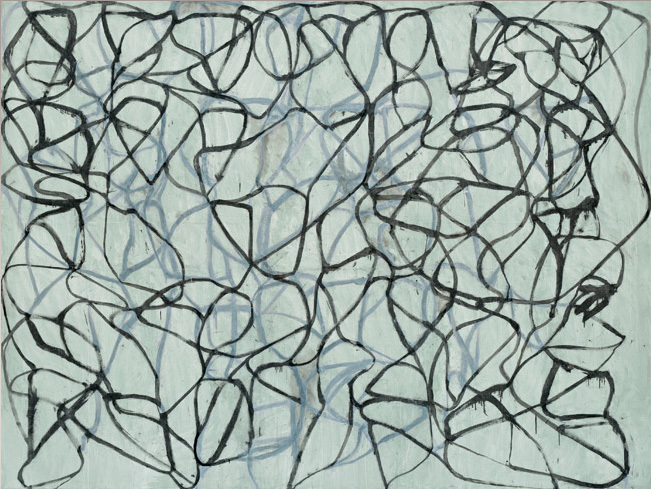 His new work was highly acclaimed, a very different experience from that of Guston, so it is hard to think of him as having doubts about his way forward. There is an opposite side to doubt, which the work of these two artists brings to mind: exhilaration, the excitement of moving onto a new path however treacherous it might be. My journey has been more gradual, from images of Victorian houses, to agricultural landscape, to abstracted machinery (you can see an overview on my website); happily, my moments of brutal doubt give way to a pleasure in painting. As Bertolt Brecht wrote: "It's all right to hesitate if you then go ahead." *thanks to the website The Painter's Keys for extensive lists of quotes that can be searched by author and by category. Altoon, thank you from heart to heart! You are very welcome, Margaret. A few of my favorite painters.... truth is, if we keep working, we are bound to come to a place where we must shift. I reached that place when I moved from the ocean to the forest. My gallery didn't like that I needed time to find myself and my work in the new place. Still haven;t gotten back to my usual showing schedule with them, but I am continually surprised and inspired again and that keeps me working. BTW - Stunning color in the painting in the last post, beautiful. Not all of us shift, Valerianna, for instance Morandi, who found worlds in his limited vocabulary. We don't see the shift, but I wonder what Morandi would say? Of course Morandi did not repeat himself, dumbly, endlessly, but found new ways to express his ideas within his limited vocabulary. I was just using examples of artists whose work changed radically. Yes, I see that... fascinating when that happens and I think you chose great examples. 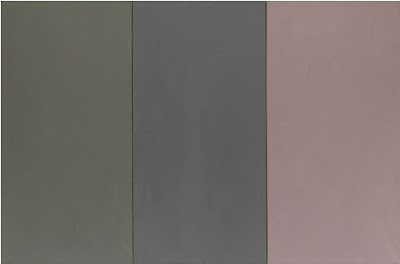 I can very much relate to Marden as I was painting misty horizons, very minimalist. Eventually I needed more. I see that in Marden's work. 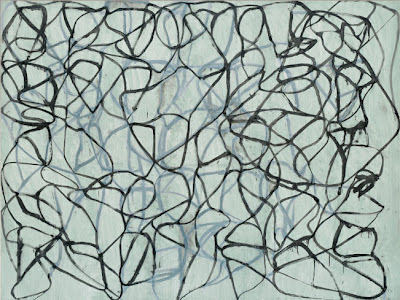 I love his calligraphic paintings, but remember the incredible surfaces, too of the old minimalist work. One HAD to see those in person. Thanks for the conversation and inspiration. Kathryn Clarke told me about your work and blog. I'm just getting started looking, but my oh my what beautiful fiber work! And I always love to read about art. I just pinned one of your works to my Pinterest board on artists. I hope that is OK. I put in your name and blog. Thanks so much, Lari, and welcome. Sure it's okay to pin my work; I love getting more traffic on the blog. Just imagine the shadow side: not having doubt...a nightmare or a bore. Especially as an artist, you are outside normal channels of value and support, so: how brave to doubt. Always appreciate how you share and articulate your process. This post will inspire me in my Guatemalan journey. Thanks. I agree, Julie, that having certainty at all times would be quite dull. I'm glad you liked the post. judgement & doubt are different creatures -- judgement is futile, as in not liking your own face is irrelevant: whether you like it or not, its yours. yes, i think one's work is tantamount to one's face! It may be futile, rappel, but it doesn't mean that therefore it doesn't exist. Gee, if everyone liked their face a lot of businesses would disappear in one fell swoop. Accept the doubt and move on. One time at the Met I came across Georgia O'Keefe's Black Iris. I had a poster of the painting in my room as a teenager so I had looked at it day after day but seeing the real painting I was hit on a visceral level by the courage of the painter, making an image so new and unabashed. It seemed like such a triumph over doubt. Thanks for your comment, Estyn. It's hard for us to realize now, when an artist like O'Keefe is so widely loved, that her work was very courageous when she started out. Thanks for reminding us. Good to see others with such familliar aprehensions! Thank you so much Altoon for this wonderful post. I have come to call these moments/periods of time, "mind storms", which seems to give me some kind of anchor when I am in the midst of one and doubting all that I am doing. For me they happen on a regular basis and while sometimes I feel that I am dropping into the abyss, I have come to see them as part of my journey of artistic exploration. I too am new here and look forward to exploring your site. yes, they are familiar, aren't they, Fred? Jane, thanks for your open response to this post. Welcome.